I had only tried an Oculus Rift briefly, a couple of years ago, when it was still quite an early prototype and mostly a tech demo without any software of substance. Since then a lot has changed and VR is no longer simply a neat peripheral but considered by many to be the next way we’ll be experiencing digital mediums. I’ve been doubtful all along that this would be the case, relegating VR to the likes of rollercoaster simulations, haunted house tours, and worse, virtual guillotine beheadings. And then I played a demo of Lucky’s Tale on the Oculus Rift over the weekend, a 3D platformer that purposely apes the design philosophies of the Mario series, and I became a believer. No wonder Facebook paid so much for it. Playing Lucky’s Tale was the most substantial, awe-inspiring experience I’ve had with video games since I played Super Mario 64 for the first time. I can still vividly recall that moment: wide-eyed walking into Toys R Us, standing in front of the Nintendo 64 demo kiosks with my hands on the alien controller, looking up at the TV and hardly believing what I was seeing. 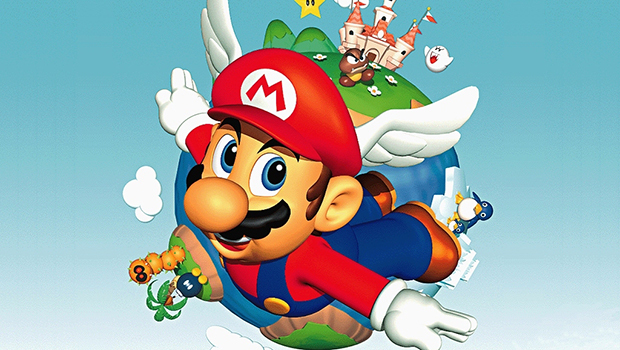 Sure, I had been introduced to 3D graphics before in arcades and on the PlayStation and Sega Saturn, but Super Mario 64 made me feel like I was actually there, running, jumping, and flying alongside Mario. Lucky’s Tale is the first time I’ve felt that sensation since. It’s not the place I expected to fall in love with VR, either. I was at a city center, commonly reserved for concerts and hockey games, to watch a League of Legends tournament. Intel was sponsoring the event and had a bunch of video games on demo to showcase the power of their new processors. Fortunately for me those processors were also powering an Oculus Rift game. What stood out most about the experience was how fully transported into the world I felt. I was initially surprised at the way my stomach reacted as my eyes floated along with the camera, as if I were there. I’ve never dealt with motion sickness during a game but now I was feeling a hint of it. After a couple of minutes my body seemed to have adapted and I could focus on the game instead of my stomach. As I mentioned, Lucky’s Tale has a play style that is nearly identical to a traditional Mario game. You’ll headbutt blocks to collect power-ups, stomp on monsters to defeat them, wall jump to reach higher places, and attempt to avoid dangerous obstacles throughout the level. There were also instances where I needed to throw bombs at targets, with the aiming performed by looking at the point I wanted the bomb to hit. There was nothing particularly challenging in the demo level, which was perfect; all you truly want is a glimpse into the future, one where the next Mario might be played this way. If you’ve ever wanted to trade time on Earth for time in the Mushroom Kingdom, this would be the quickest route. Spatial awareness plays a smaller role in Lucky’s Tale – at least from what I’ve played so far – than it likely would for a game played in first-person. When you break away from the camera’s focal point you can view the surrounding environment. Depending on where you’re standing in the level, you may be looking at mountains in the distance or the objects immediately surrounding you. It gives you an effective sense of place in the virtual world that you can’t get from looking at a TV and panning the camera around. There are numerous Oculus Rift games out there now, some are made specifically for Oculus and some just support it. Lucky’s Tale is great because it serves as a fantastic refresher on what it’s like to feel wonder towards a video game again in that nostalgic sense. These days graphics are more realistic than ever but they aren’t necessarily immersing us any more than they used to. I’m no more empathetic towards the sculpted Max in Max Payne 3 than I was the blockhead Max from the original game. The best analogy I can come up with is this: Current video games are like watching a Disney movie on TV whereas wearing the Oculus Rift is like being at Disneyland. I think I’m ready for Disneyland.